Walking in, in the world of glamour & glitter and then never wanting to go back. This was exactly how I felt at the Gala Brother's Jewellery showroom in Mumbai. 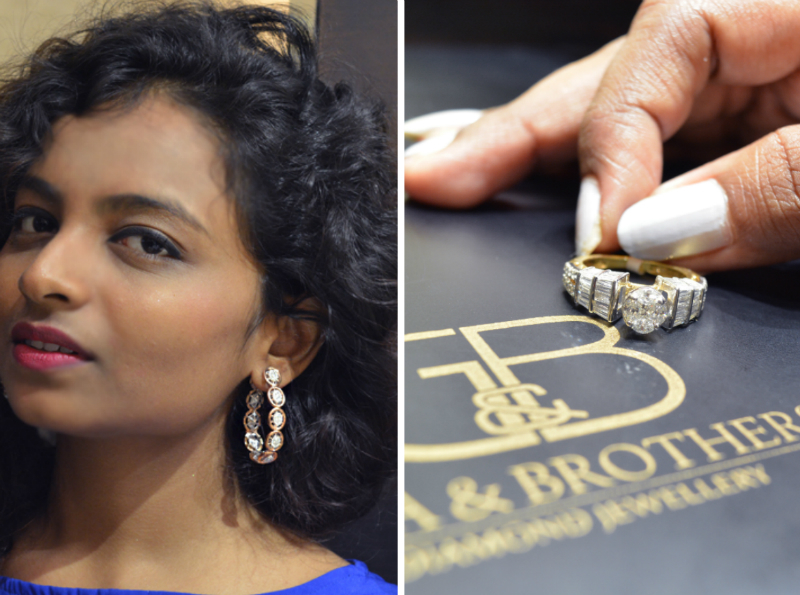 Last week they invited me over to check out their latest collection of heavenly jewels. I happily accepted. 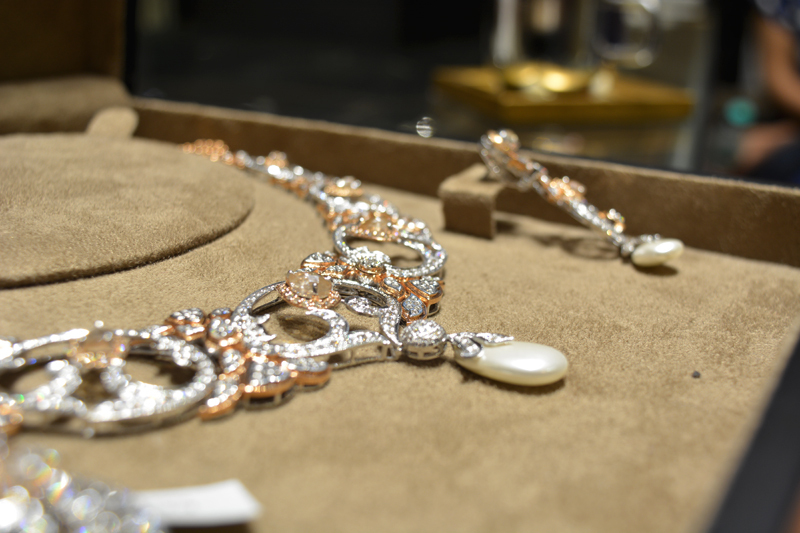 In the above pictures you will see some breathtaking pieces of jewellery. 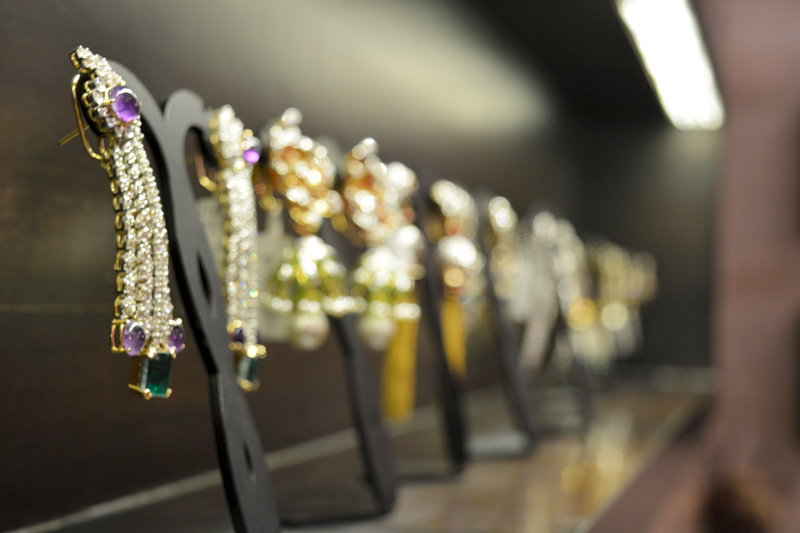 Each and every jewel is a master piece. 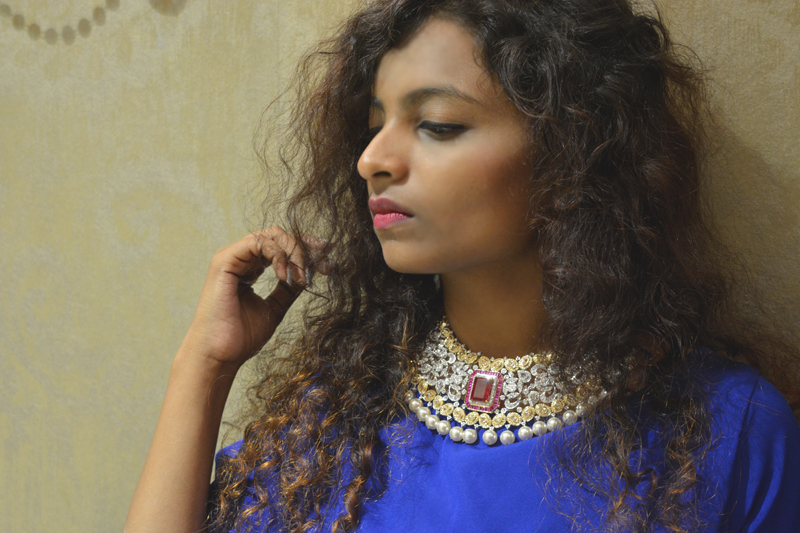 The designs have a contemporary touch without losing the Indian-ness of it all. I believe they are the best fit for a modern Indian bride who hopes to find something unique with an urban edge to it. 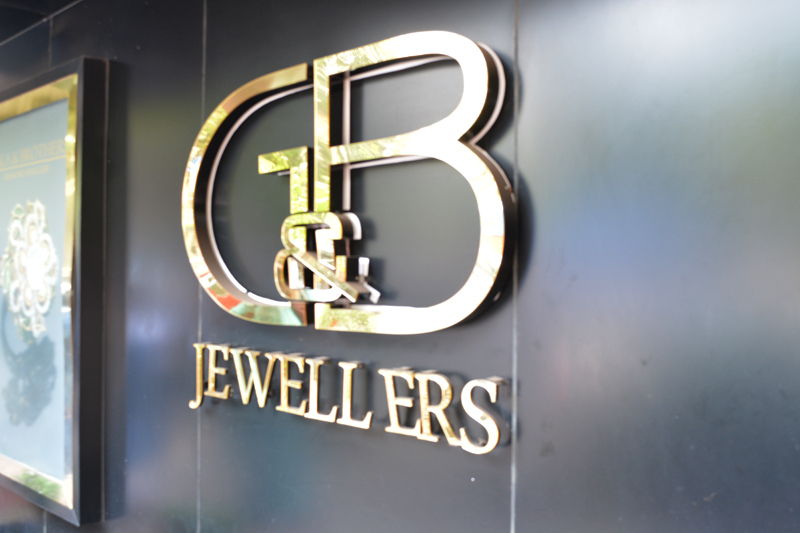 G&B Jewellers as they are known, have the most amazing ring collection. I fell in love with the intricately designed cocktail rings. The mix of diamonds and enamel create such great designs. I just couldn't stop trying them on. Diamond earrings are always synonymous to glamour. Pairing them with a sleek dress instantly sky rockets the glam quotient. 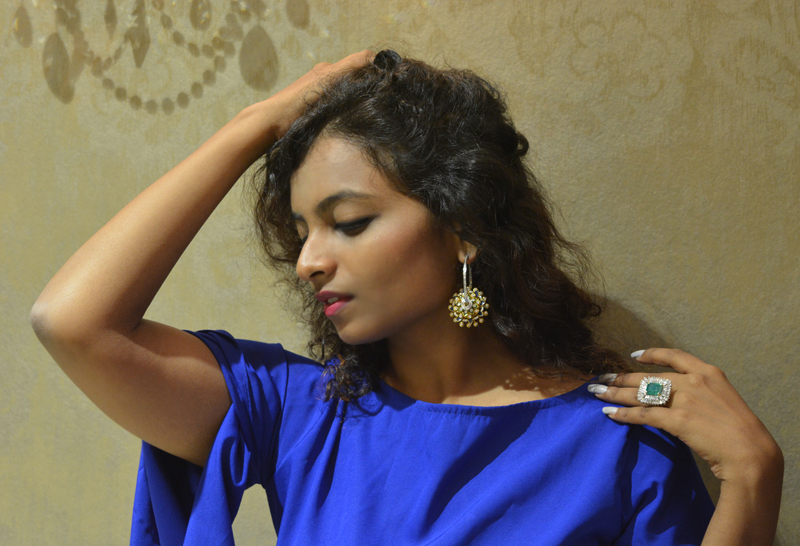 Also, I really liked the mix of ethnic and modern designs in earrings which are perfect for weddings or festive outfits. The jhumkas and the chandbalis also had a trendy twist to them. 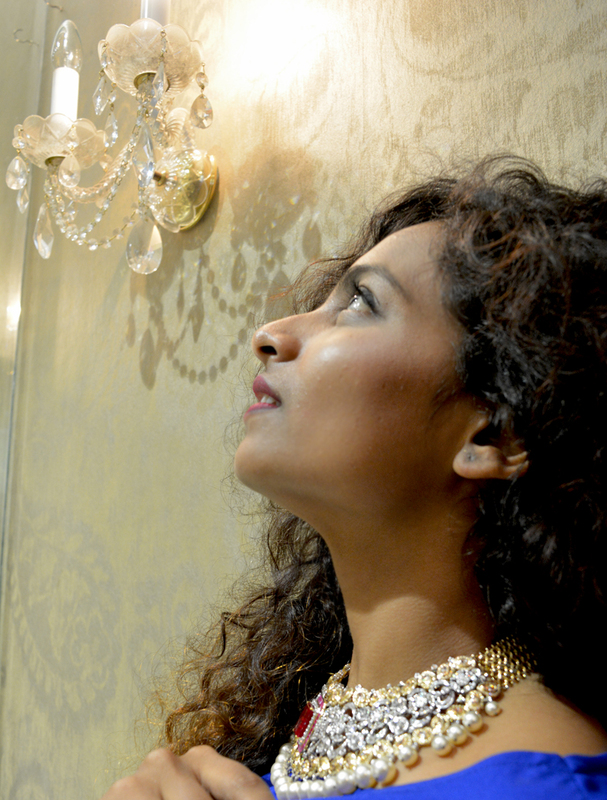 Well, this neckpiece that sparkled like magic had everything a girl could ask for.... gold, diamonds & pearls. Perfect for a royal bride I say. And when she wants to add a touch of contemporary to it the dangler like bracelet does the trick. Those were some sparkly hours I spent at the G&B Jewellers. Dhvanit Gala & Malhar Gala , driven by a passion to create exquisite masterpieces that are timeless, founded G&B Jewellers in 2000. Design and craftsmanship have ultimate priority, giving every piece its own individuality. 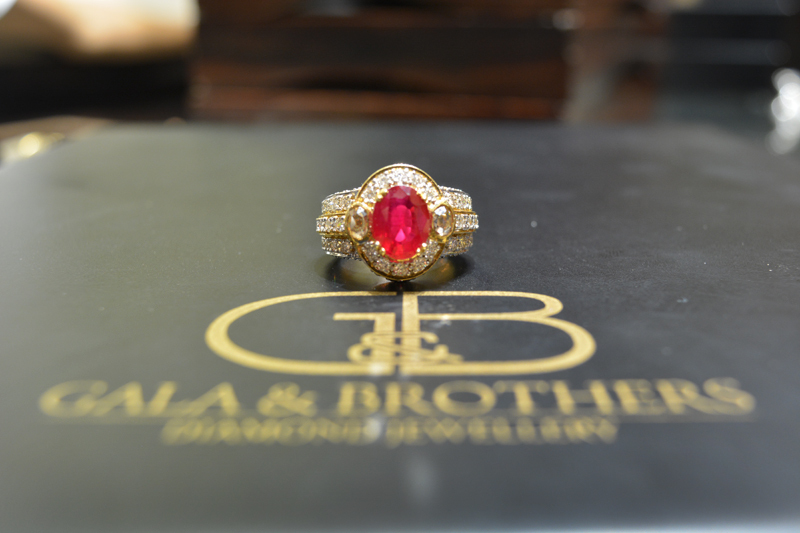 the Gala Brothers combine these elements to create jewellery that caters to the entire spectrum of clients. 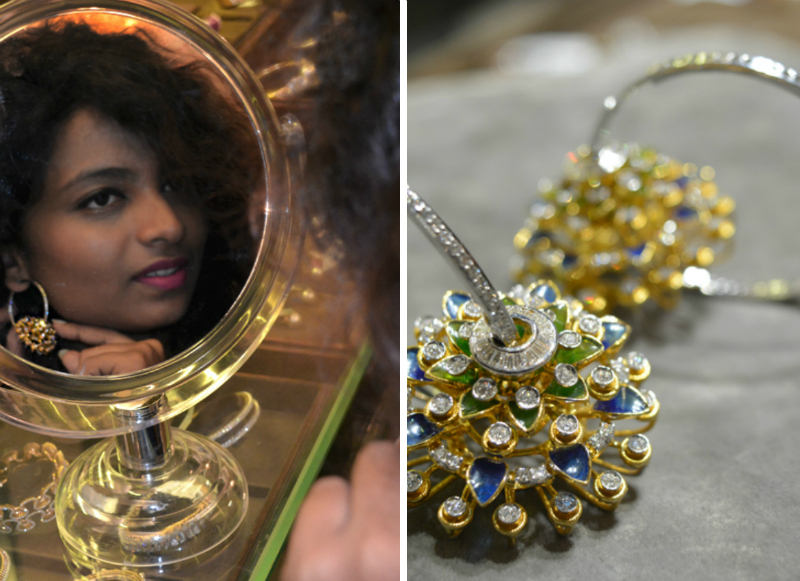 So whether your interest lies in traditional Indian pieces, or more modern European styles, or even a mix of both, there are a variety of designs you can pick from based on your mood or occasion. Do tell me in the comments below which piece of art is your favourite? 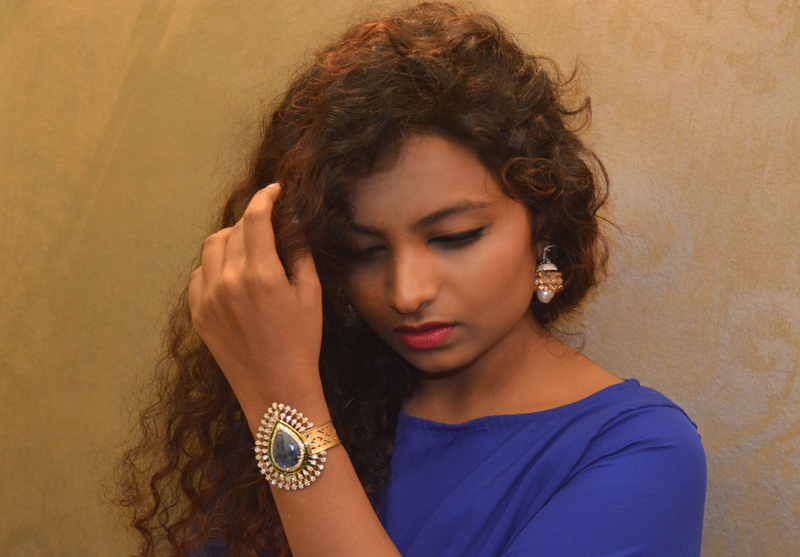 Royal Blue and Indian jewelry looking fab together. What an amazing jewellery she is wearing!!! Rings are the oldest forms of body adornment. 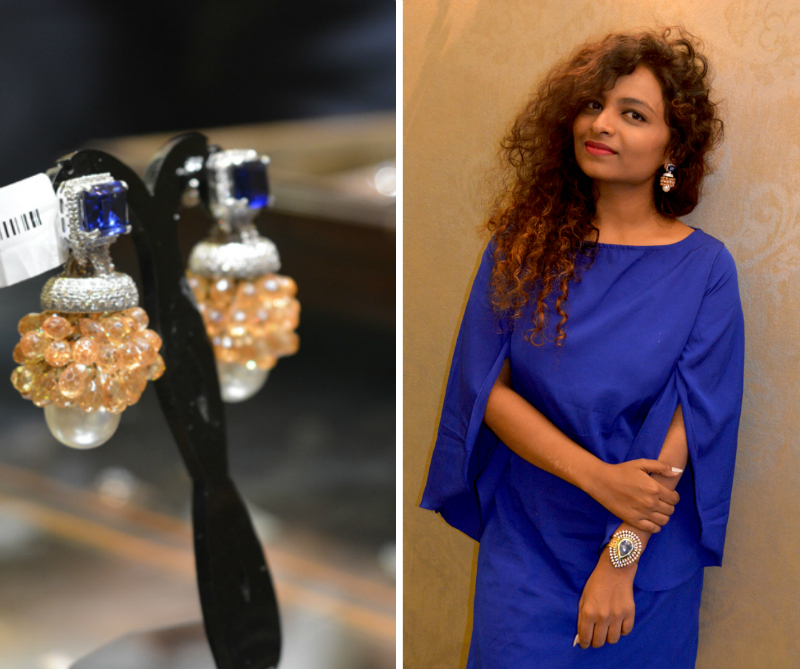 The history of body adornment fascinates me and has led me to explore the evolution of jewellery and the varying roles golden jewellery has played in culture and society. Your rings are looking so much beautiful. you may find interest in Fashion rings for women , is providing some excellent design and stunning looking rings, bracelets, anklets and so on jewelries.